Home Technology Fortnite is now much more worth it, do you know why? Epic Games has fully hit its multi-platform bet. The most complete, we’ve seen to date and bringing together the players of PlayStation 4, Xbox One, PC, Nintendo Switch, iOS, and Android. Fortnite has introduced one of the biggest improvements they could launch for their successful video game: new forms of control in the most complicated platforms: Nintendo Switch and iOS. 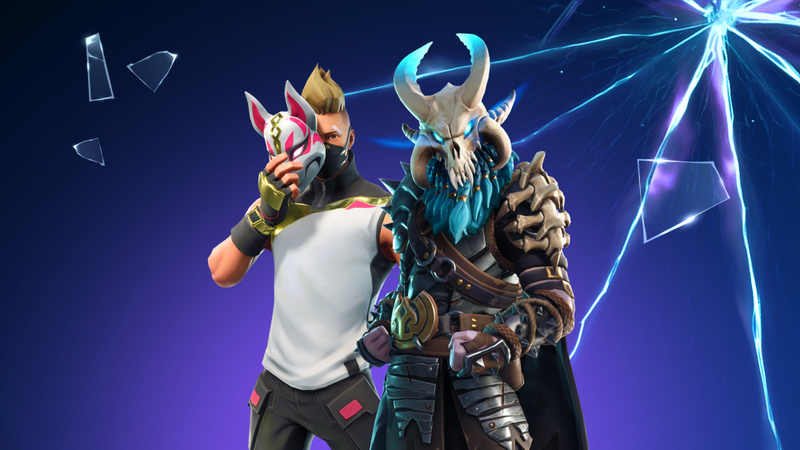 The season 5 of Fortnite has just started with new cosmetic items to get a new battlefield full of rewards with more new challenges and a long etc. But this update, in addition, has brought changes for Nintendo Switch and iOS. Probably, the most important changes that have come are these, the new control systems that allow us to face a PC user when we are playing on an Apple phone or tablet, or on the Nintendo Switch. Now there is ‘equality’ in the one-on-one confrontations, or at least it is easier. In Nintendo Switch , Epic Games has released a feature that was previously only available on iOS : if you lower the volume of the console you can see where the sounds come from, with a special effect on the screen that allows, for example, to see where we are from shooting without needing to listen to it. Something that, without a doubt, is essential in a portable video game console. But in addition, now we can use the motion sensors to aim, instead of Joy Con joystick. All a success that we had seen in Splatoon 2. And on the iPhone? In iPhone, at this time, it is on the platform that we will find the greatest difficulty. So, to make things easier, Epic Games has decided to introduce in its version of Fortnite the automatic shooting mode. If someone is in your ‘range’, and passes through your grid, it automatically triggers. So now, if you have a switch or an iPhone, give Fortnite a new opportunity, because it’s worth it.